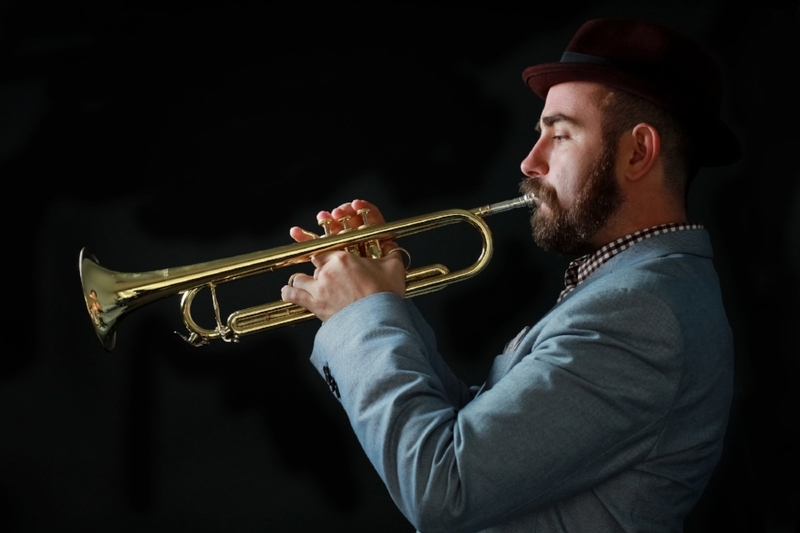 New York City based Trumpet player Mike Sailors has traveled to perform around the world in Japan and Europe as well as throughout the United States and Canada. He has appeared at venues such as the Blue Note (Tokyo, Sapporo and New York), Dizzy's, The Jazz Standard, Yoshi's, The Jazz Standard, The Jazz Kitchen, Carnegie Hall, Lincoln Center, Symphony Space, the Manchester Craftsman’s Guild, the Bowery Ballroom, Smalls as well as the Tokyo Blue Note Jazz Festival, the EFG London Jazz Festival, the Detroit Jazz Festival, the Montreal Jazz Festival and the Turner Classic Movie Cruise. Mike was a featured guest artist at the 2015 North Carolina Music Educators Conference, as well as a featured guest artist and composer at the 2013 Brevard Music Festival. Sailors currently leads his own small and large groups in and around NYC. Sailors has worked as a sideman for bands and artists including the Birdland Big Band, the Fat Cat Big Band, the Baby Soda Jazz Band, the Hot Sardines, the Captain Black Big Band led by Orrin Evans, The Jason Marshall Big Band, Cynthia Sayer and George DeLancey. His past experience also includes performances with The Gerald Wilson Orchestra, Jon Hendricks, McCoy Tyner, Marcus Belgrave, Willie Nelson, Dale Watson, Rodney Whitaker and John Clayton. He’s also appeared as a featured artist with the Cincinnati Symphony Orchestra, the Gulf Coast Symphony Orchestra and the Jacksonville Symphony Orchestra. Along with an active performing career, Sailors has built and maintained a busy career in composition and arranging. His first commission, dating back to 2005, came from the North American Saxophone Alliance (N.A.S.A). The piece featured the late Dewey Redman and was later recorded and featured on Redman’s last commercial recording “Live with Dewey Redman”. Since then, Sailors has been hired by the likes of Mack Avenue Records, Decca Records, the Columbus Jazz Orchestra, the Lincoln Center Jazz Orchestra, Arturo O’Farrill and the Afro Latin Jazz Orchestra as well as a host of internationally known musicians including Ryan Kisor, Sean Jones, Rodney Whitaker, Pete Bernstein and Jimmy Cobb. He has also written for TV and Radio most recently for TD Ameritrade. Originally from Charleston, South Carolina Mike grew up playing in his local church. He went on to attend the University of North Carolina at Greensboro in 2001, Michigan State University in 2007 and The University of Texas in 2010. Mike’s major influences include Kenny Dorham, Louis Armstrong, Leroy Jones, Blue Mitchell and Ernie Royal. Compositionally, he is heavily influenced by the sound of the Jazz Orchestra, most notably Thad Jones, Bob Brookmeyer, Billy Byers, Quincy Jones and Ralph Carmichael.